Gupta Empire Religion: The decline of the Mauryan Empire was followed by a long period of chronic violence and inter-state warfare, which lasted for almost five centuries. Indians continued to face the threat of outside attacks and invasions from various outsiders in the north. During this period of political turbulence, Indians found stability at the local level of the village and based on the rigid social structure sustained by the caste system. Continuity for Indians was found in village life, traditional caste duties and laws, and the understanding provided by their religious beliefs. Over these five centuries of political violence, the caste system became even more harshly defined; the number of sub-castes or “jati” increased dramatically. Brahmanism or Hinduism also evolved during this period which incorporated beliefs and practices from Jainism and Buddhism thereby solidifying the connection between religious as well as social duties. Close connections between religious duty and the social obligations of the caste system secured the continuation of traditional relationships and behaviors. Although Indians experienced turbulence at the political level of statecraft and war, the villages, the caste system, and religion provided a stable framework for the coming centuries. Around 320, an ambitious and politically talented leader called Chandra Gupta I emerged. From his power base near the Ganges River Valley, Chandra Gupta I slowly began to extend control over neighboring territories which was subsequently carried forward by his son as well as the successor to the throne Samudra Gupta whereas the final touches of a unified northern empire were established by his grandson Chandra Gupta II. Under the Guptas, the Indians enjoyed a rare and brief respite from constant warfare. There was a noticeable increase in stability and security. Energies and monies could be devoted to cultural and artistic development, rather than warfare and military needs. This vibrant and prosperous trade consequently resulted in the increase of wealth and cultural interchange east and west. Trade connections were strengthened between India and China, and Gupta leaders also encouraged increased trading connections with the Near East as also with the Roman Empire. Gupta rule was thus a time of economic growth and increased prosperity for Indians in the north. Apart from the various accomplishments of the Gupta Empire in diverse fields like astronomy, arithmetic, medicine etc was the re-establishment of state policy based on religious tolerance, following the successful precedent set by Ashoka Maurya. 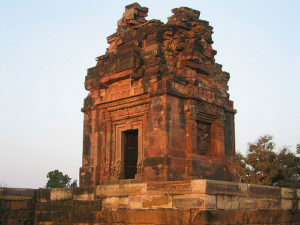 While Hinduism was clearly the religion favored by the empire’s rulers, Buddhism still flourished; Buddhist pilgrims and scholars from throughout Asia came to India – to study and visit the heartland of this influential religion was actually a product of Gupta society. 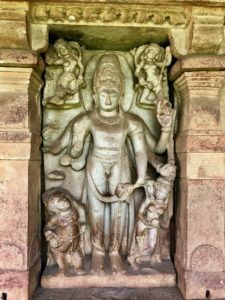 One of the facts about the Gupta kings was that that they were a group dedicated Vaishnavas or devotees of Vishnu, the role played by this religion in their ideology though has not received much attention from scholars. 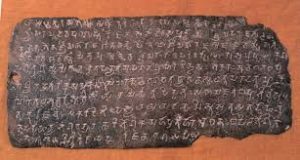 It is from the coins, inscriptions, and literature of the Gupta age, that the fact can be laid down. They were active participants in the bhakti devotional movement which was centered on Lord Vishnu. As a matter of fact, the rapid spread of Vaishnavism in Gupta times was due to a large extent to their patronage. As traditional Hindu monarchs, the Guptas were strong supporters of Vedic religious beliefs and rituals. It is quite interesting to know that the two components of Gupta religion, namely the Vedic as well as the bhakti elements, were successfully blended by the Guptas along with their advisors to form a workable ideology of kingship and empire. In formulating their views of kingship, it is clear that they drew upon many of the concepts and ideas about kingship which are woven into India’s great epics, the Ramayana and the Mahabharata. 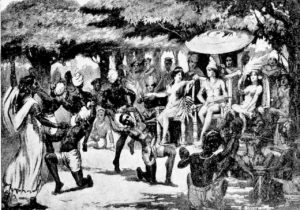 A close analysis of religion and political power in the Gupta age, the role played by myth and symbol, especially Vaishnava mythology, in the government of the empire was a crucial one. Like for instance, the goddess Sri Laksmi and the figure of Garuda, the family symbol of the Gupta dynasty. All those considerations lead to the main question of the relationship which was supposed to exist between the king and God in Gupta religion or whether the Gupta dynasty was a theocratic form of government with the king acting as the incarnation of Lord Vishnu on earth? 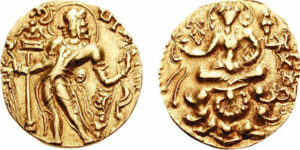 Although the king was purposefully associated with Vishnu in the inscriptions as well as on the coins so produced, it cannot be said with certainty that the Guptas were not claiming to be incarnations of Vishnu in the same sense as Rama and Krishna were believed to be the incarnations. Instead, they claimed that their authority to rule the land came to them from Lord Vishnu. They expressed their allegiance to their god through their devotional activities, service to the poor, as also through their royal patronage of the temple movement. Thus, they were kings but also servants and this pattern of kingship was found in different periods of Indian history as well. 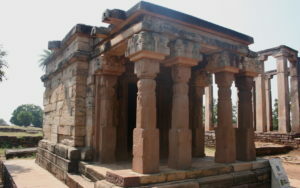 It is often said that the Guptas were chiefly responsible for the spread of Hinduism since the rulers of this dynasty were basically devoted Hindus. However, the Empires or Dynasties which succeeded the Gupta Empire, in spite, of being Hindus took extremely little or as good as negligible efforts to contribute to the spread of Hinduism during the tenure of their rule. Hence, out of the numerous accomplishments which the Gupta dynasty boasts of, one was the spread of Hinduism.